I started writing online for free and for $10-15 personal finance posts. These opportunities were instrumental for me in realizing I could make money online and finding out that I would love to write for blogs. Now, though, my blog posts start at $125-$650+ and I don’t often consider exceptions. How did I get there? And how do I charge $125-$650+ for 500-800 word blog posts? A careful combination of confidence, experience, and critical thinking. These free and low-paid opportunities were instrumental for me in realizing I could make money online and finding out that I would love to write for blogs. I gained the confidence to charge this much by 1) writing thousands of words to learn the craft, 2) reading hundreds of blogs to understand business of writing, marketing, freelancing, and negotiation, and 3) becoming (relatively) financially secure before entering into harder negotiations. Here are the basic principles I used to come up with a more refined pricing system. On my particular path, I maintained a full-time job until I was laid off and jumped into freelancing full-tilt. This allowed me almost two years of writing for myself on my blog and writing for free and low-paying sites on career, personal finance, and food. By the time I needed to charge for my writing, I had hundreds of clips of websites that had published my work. “Read everything!” is long-time stereotypical advice from famous authors and Internet writers alike, and I’m going to reinforce it. The answer to just about anything you could ask is out there, whether you start with trusted websites and resources or you type in a simple web search. Research the benefits of hourly verses per-word verses project-based pricing (this article will help a bit with that). Look for client scripts for all the awkward conversations you’ll need to have. Find a branding or marketing blogger who speaks to you and read through the archives. The first hoop you have to jump through as a well-paid writer is how much hustle and research you’re willing to put into the craft. That’s what will separate you from free and low-paid hobby writers. The first hoop you have to jump through as a well-paid writer is how much hustle and research you’re willing to put into the craft. That’s what will separate you from free and low-paid hobby writers. It’s a simple economic issue: if you are desperate for cash, any and every project will look like a “must do” for you. You will bend to lame project requirements, contracts, rates, and clients, all the while letting good opportunities pass you by because you couldn’t wait it out. It’s a simple economic issue: if you are desperate for cash, any and every project will look like a “must do” for you. I worked without a nest egg for over a year, relying on month-to-month income to achieve my financial goals and pay my bills. This time period correlated with my lowest-paying work. The day I saved up $6,000 (a little more than three months of my minimum required freelance income) just to sit in my bank account “in case I had a bad month,” I reached a new level of confidence in negotiating with new clients. My new negotiating reality was that I didn’t need the work as much as they needed a writer, and that allowed me to hold out for better terms. There will always be someone willing to compete on price and drive it lower and lower. But if you have financial security you can quickly evaluate a lead for this kind of behavior and move on quickly — leaving yourself more time to find high-paying clients and contribute to relationships that will benefit you in the long run. Many writers charge by the hour and by the word, and that’s perfectly acceptable. As long as you are receiving money for the work you do, it’s hard to go wrong with how you charge. But if you want to take your writing (and income) to the next level, you should charge by the project. As long as you are receiving money for the work you do, it’s hard to go wrong with how you charge. But if you want to take your writing (and income) to the next level, you should charge by the project. What Is a Project Rate? First, let’s de-mystify the project rate. 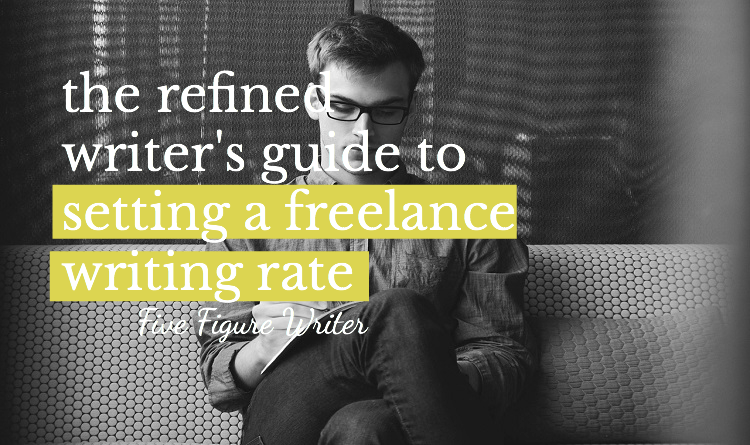 The project rate, per-word rate, and hourly rate are all interconnected (after all, once you decide a project rate you can easily calculate a per-word rate or hourly rate based on that number). But we all know how important packaging is. People don’t value other people’s time — we tend to think we’re all equal hour-by-hour — but they do value the work you do. Pricing by project shields your hourly rate from prying eyes that might judge it and puts the value of what you do front and center. People don’t value other people’s time — we tend to think we’re all equal there — but they do value the work you do. Pricing by project puts this value front and center. When I was first laid off, I started out with a $35 per hour rate. Compared to jobs I had in the past, this was an excellent rate. 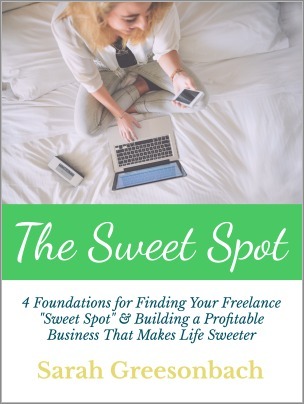 However, the reality of the freelancing system is that anything less than $50 per hour will not allow you to sustain a business long-term. When I switched to project pricing, I freed up tons of time, stress, and value for both my clients and myself. Instead of charging $150 per hour and spending 1+ hours writing a blog post (which likely wouldn’t go over well on an invoice), I charge $125-650+ for a single blog post and aim to finish it as efficiently as I can. Lower-cost blog posts (bylined, company blog, easy subject matter) almost always require less of my time. Higher cost articles (ghostwritten, popular publication, difficult subject matter) almost always require more of my time. But the higher the cost of the article, the more the ultimate value to the client, too. You meet the standards of an English-speaking writer, but you do not have a specialized breadth of knowledge about the topic. You can pop these articles out fairly quickly but the articles end up on small websites. Deadlines are beginning to seem maybe a little important. You have a few clips but you do not have a specialty or topic. 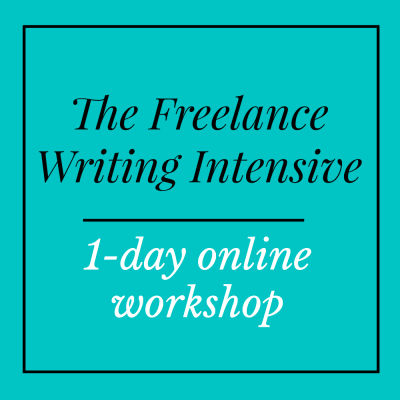 You’re trained in the basics of writing online, but you’re still developing your voice and figuring out what value you provide to the person who hires you. Deadlines are very important, but you miss or reschedule them sometimes. In this range, you have established yourself as an efficient writer and nurtured a few important relationships and well-paying one-off jobs. You are on the path to specializing and getting more and more refined about how your work contributes to your client’s bottom line. You are building your business around deadlines. 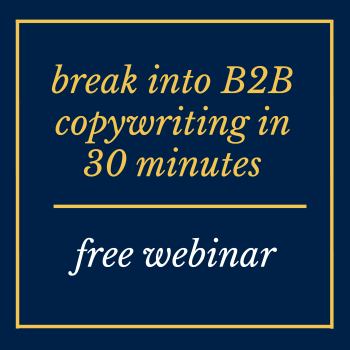 You are a laser-focused professional writer who has recurring clients and picks and chooses them carefully. You know the value of what you deliver (whether that be website SEO, thought leadership and influence, networking, or marketing results) and you structure your business around deadlines that you never miss. Once you throw in ghostwriting and specific publications you can trend higher and higher in this category. We’ll address how to climb this pricing latter in a different post, but for now this is information to digest. Where are you on this list? Do you agree with it? And what do you think it takes to climb the pricing latter and charge like a refined writer?